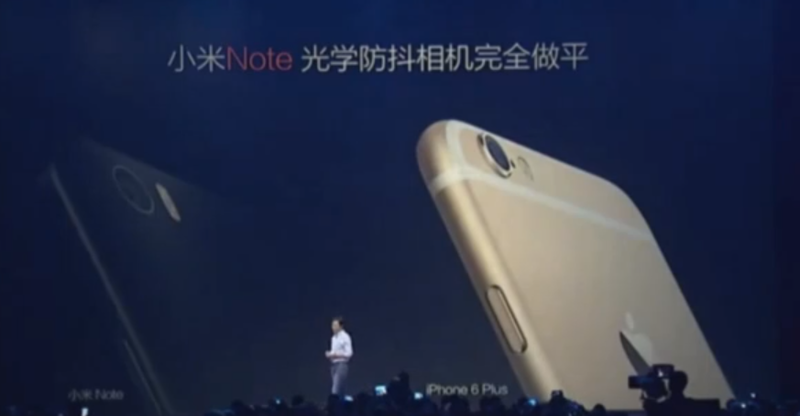 Xiaomi CEO, Lei Jun, took to the stage in Beijing today to announce Xiaomi's latest flagship phablet, the Xiaomi Mi Note. 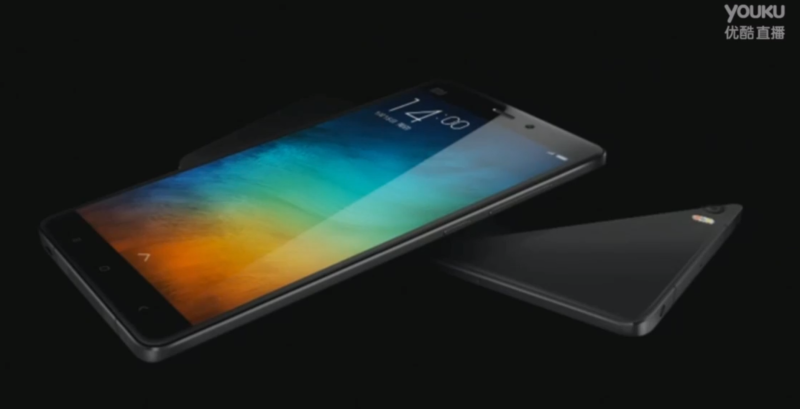 Not to be confused with the entry-level Redmi Note, Xiaomi's new phablet clearly aims to compete with Apple's iPhone 6 Plus, with Lei Jun drawing many comparisons to Apple's premium phablet to show off the Mi Note's superiority. Notably, the Mi Note boasts a larger 5.7-inch Full HD 1920 x 1080 pixel resolution (386 ppi) display, but a smaller overall footprint than the iPhone 6 Plus. 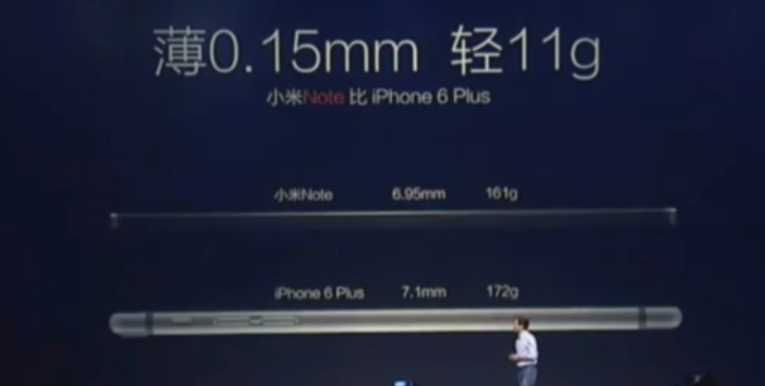 It is also thinner at just 6.95mm, and lighter, weighing a mere 161g. 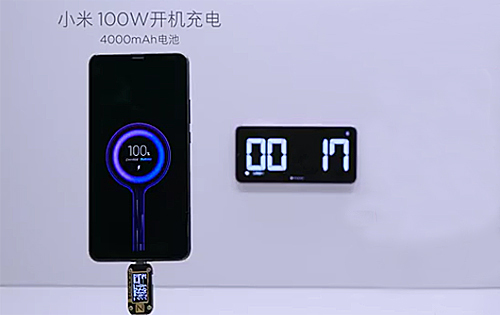 In an amusing video sketch involving a frying pan hitting the rear of an iPhone 6, Lei Jun also showed off that the Note's 13MP rear camera with OIS and dual LED flash is flush with the rear of the phone, unlike the iPhone 6's unsightly protruding rear camera bump. To compete with the range of selfie-centric smartphones out there, the Note sports a 4MP front-facing camera with a 2µm pixel size, which should result in better selfies, especially in low-light conditions. 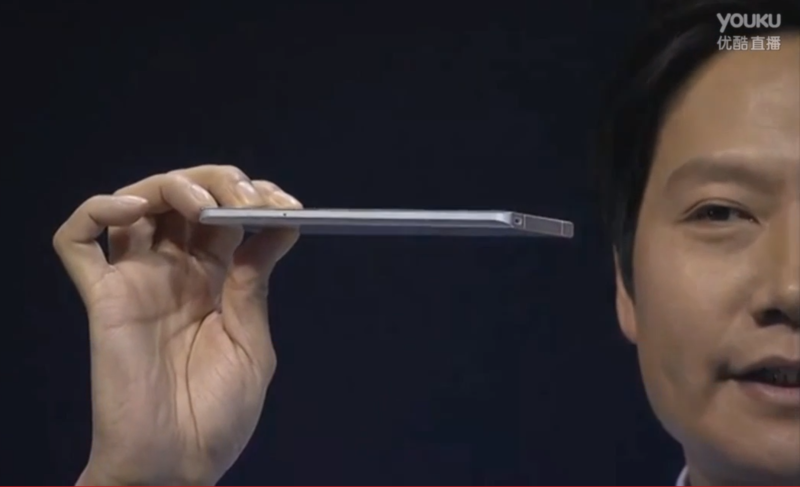 The rear of the Mi Note is fitted with a 3D curved glass panel, while the front will utilize a 2.5D curved glass panel. The frame is made out of metal. 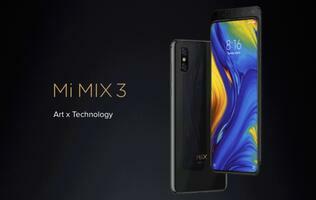 The phablet is powered by a Qualcomm Snapdragon 801 quad-core processor, and features dual 4G nano and micro-SIM card slots. Audio should also be impressive as the Mi Note will utilize the same ESS decoder found in many high end Hi-Fi systems, as well as a built-in 2-level amplifier. 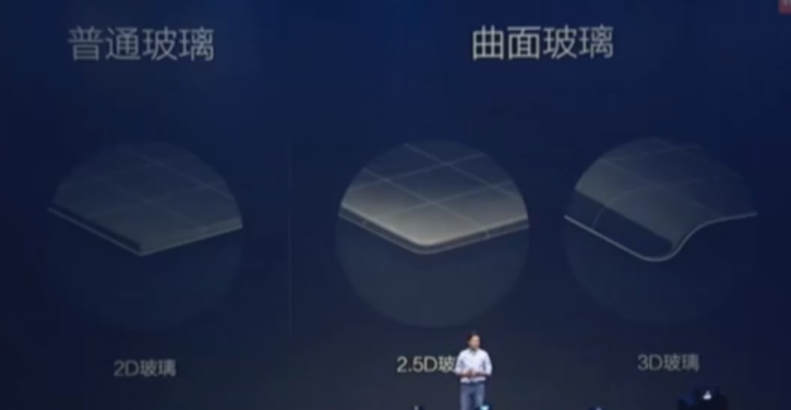 As for battery life, the Mi Note will be fitted with a 3,000mAh capacity battery. 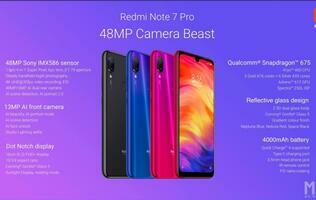 For power users, a premium Mi Note Pro will also be available, armed with a Qualcomm Snapdragon octa-core 810 processor, higher resolution 2,560 x 1,480 pixel resolution display, 4G LTE cat 9 capabilities, and 4GB RAM. The Mi Note will be available in Q2 this year and will retail for 2,299RMB (S$495) for a 16GB model, or 2,799RMB ($602) for a 64GB model. 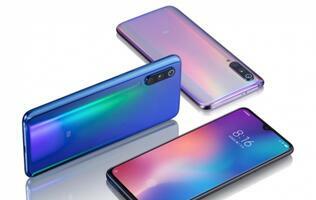 This makes it the most expensive Xiaomi product to date, but Lei Jun mentioned in his presentation that this is due to the high manufacturing cost of the phone. 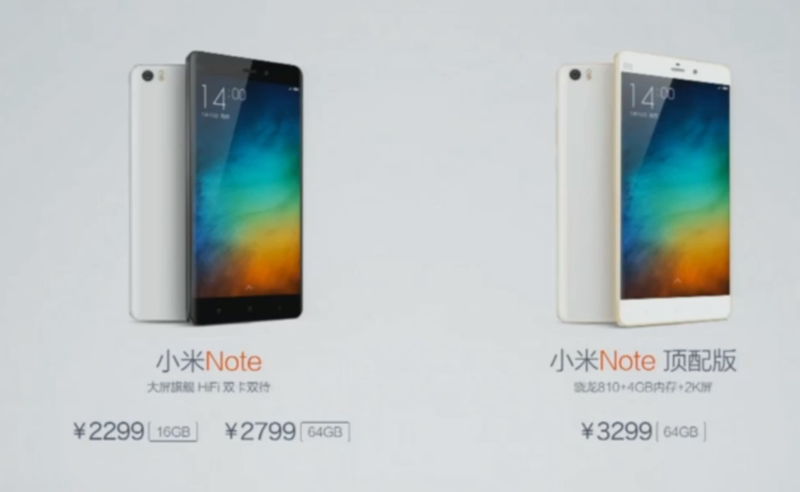 The Mi Note Pro will only be available in 64GB and will retail for 3,299RMB (S$710). Both phones will be available in black or white. Check back soon for our hands-on with the Mi Note! Apple rumored to equip next iPhone 6S with dual-lens camera and "Force Touch"